Its not like you have not seen these before, but this is some cool swag from ringCentral that really came into use. 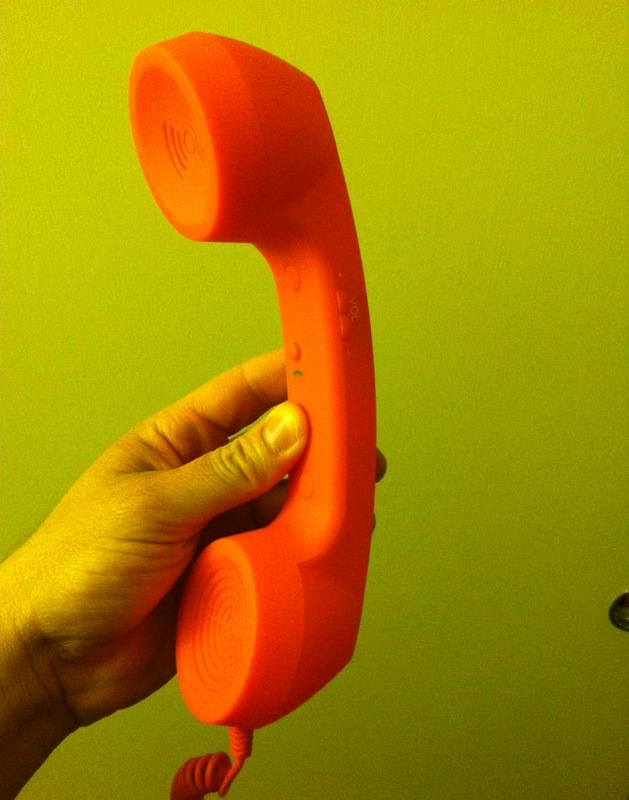 Its basically a land line phone handle with a chord to connect to your mobile phone. The cool part, aside from free, is that it worked pretty well. I was on the conference floor trying to talk to someone on my iphone and saw these at a booth. I walked over, grabbed one (yes I asked first), plugged it in and boom! I could hear and they could hear me. Nice! The model I got has volume control and a hangup/answer button. Good enough! As I guess it works too, because I then had to look up the URL for ringcentral and see that it looks like an interesting service. Basically an office phone system from your iphone.